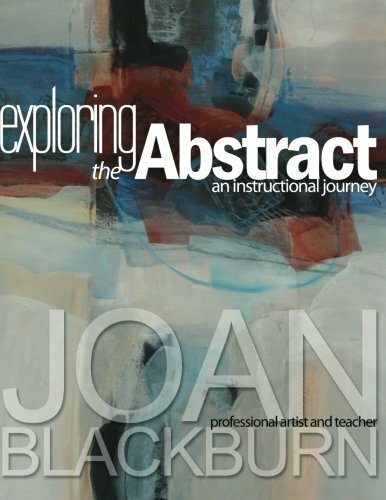 This fun, exciting book on workshop projects and assignments will be an “art altering” experience for the artist who is eager to learn, experiment, and explore various methods of developing and achieving a finished painting of abstract art. I have taught the content in this book in workshops for over fifteen years and have received great joy in watching students grow, some even winning awards in national competitions. It is only when you can let yourself be open to new experiences that you can experience something new. Experimental painting is not a style but an attitude: to take chances, let go, be free and try new things. In this instructional, tutorial workshop, the elements and principles of design, design formats, textures and content will be emphasized. Joan Blackburn is a well known Pensacola artist, teacher, juror & judge whose specialty is watermedia abstracts and transparent watercolor still life, florals and landscapes. She considers her florals to be portraits of flowers, and loves to capture the exciting effects of bright sunlight casting shadows and varying the beautiful colors on and through the petals of flowers and glass. She considers her forte to be in design and composition. This is very evident in the bold shapes, strong values, vibrant colors and design formats in her award winning non-objective paintings. She has taken workshops from some of the most well known artists and instructors in the country, and is continually studying and working to improve her art. "I paint because I love to be creative, love glorious color and beautiful things. I like being a part of the art community, and teaching and sharing with students what I’ve learned through 40 years of study and experience." Joan (pronounced Joann) taught classes and workshops at the Pensacola Jr. College Downtown Center in their Continuing Ed Series for 14 years, but retired in 2006 to have more time to pursue her own work, to teach workshops and to serve as a juror/judge of art shows.